The album was constructed by the first pick of a session held at Stax Studios in Memphis in December 1973 and two songs, "I've Got a Thing About You Baby" and "Take Good Care of Her", which were left over from the session at Stax in July 1973. The album includes a collection of songs that vary in style and genre. 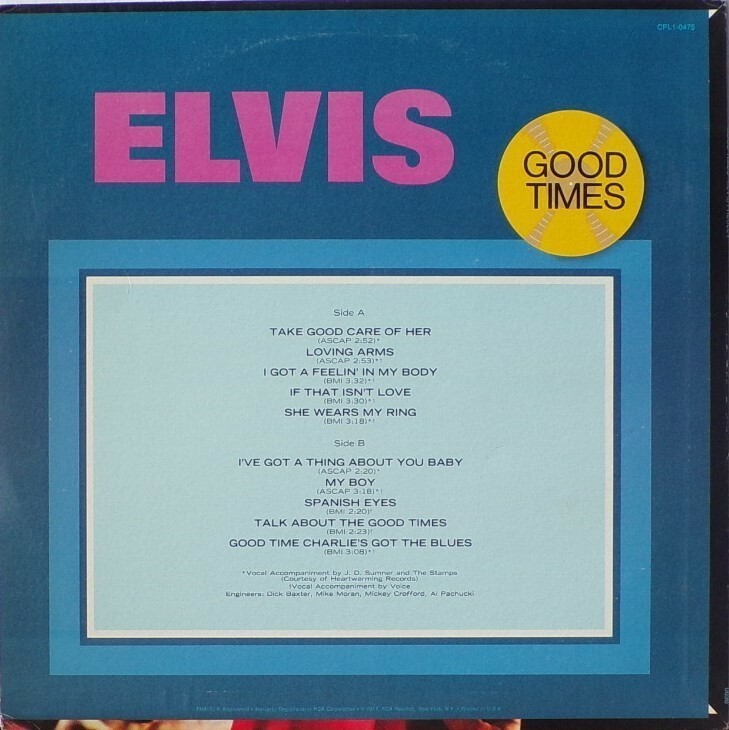 Released the same day as the recording of Elvis: As Recorded Live On Stage In Memphis was being made, the title was taken from the song "Talk About the Good Times". Many of the songs are covers of hits at the time, like "Spanish Eyes" and "She Wears My Ring". Charting low at the time of its release, it was considered typical 1970s Elvis material and was his first album to hit the "cut-out bins". 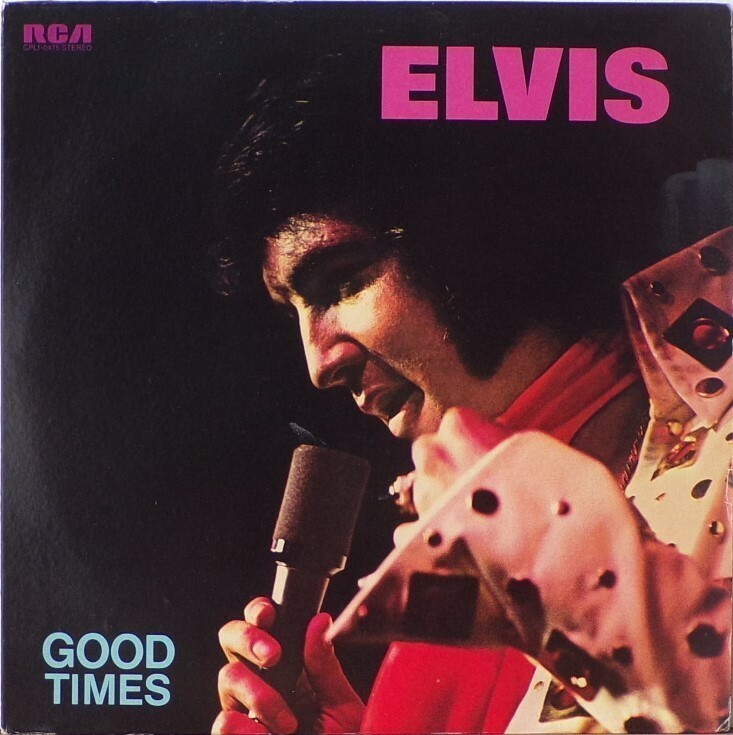 Today it is more highly regarded among Elvis fans. The album did have some success though upon its original release, becoming a Cashbox #1 hit and charting in the Top 50 in the UK. The album released two singles, both hits: "I've Got a Thing About You Baby" rose to #4 on the Country charts, #39 pop; "My Boy" hit #1 on the Adult Contemporary charts, as well as #14 Country and #20 Pop. Front Cover : Photo of Elvis. Title bottom left. Catalogue number top left. ​​Rear Cover : Catalogue number top right. Printed in U.S.A. bottom. Label : Orange. Dynaflex vinyl. 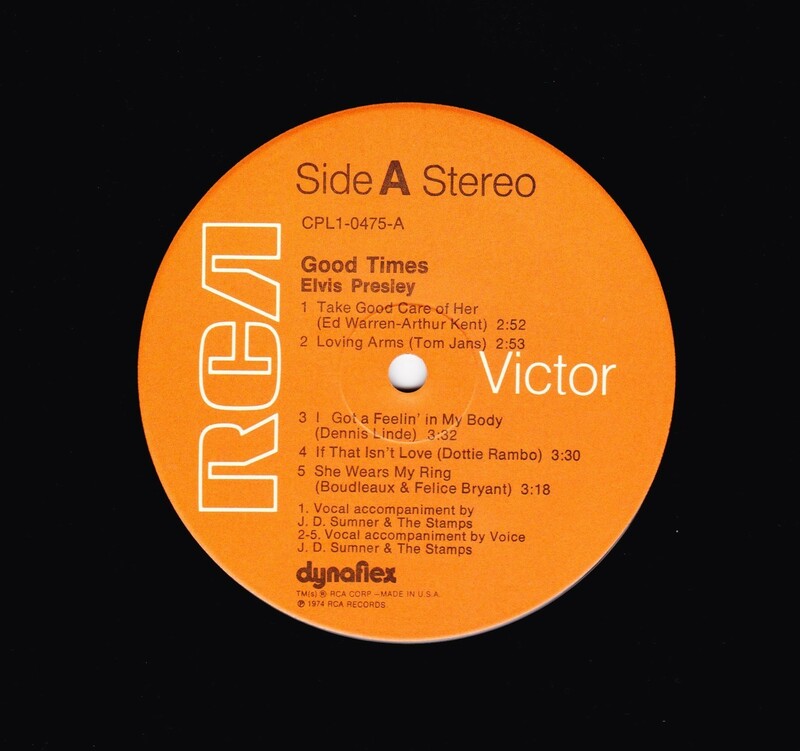 Side A : Stereo at top. Side B : ​Stereo at top. *NOTE* Original copies with the sticker on the cover (stating the singles on the album) are very rare & sell very on auction sites.